DEWARS - Range system for measuring and controlling the acoustic signature of submarines. DEWARS is a system for measuring and controlling the acoustic signature of the submerged submarine and its other operating depths on a regular basis to preserve its discretion. This system is the most competitive and gives the best performance of its class. In addition to measurement accuracy, DEWARS includes powerful tools for assessment and analysis to maintain the ship’s discretion. It is a system that brings together all the experience of acoustics and underwater signature measurements. With this system, the submarine can be measured regularly to guarantee its discretion prior to a mission. Used by Navies and Shipyards. 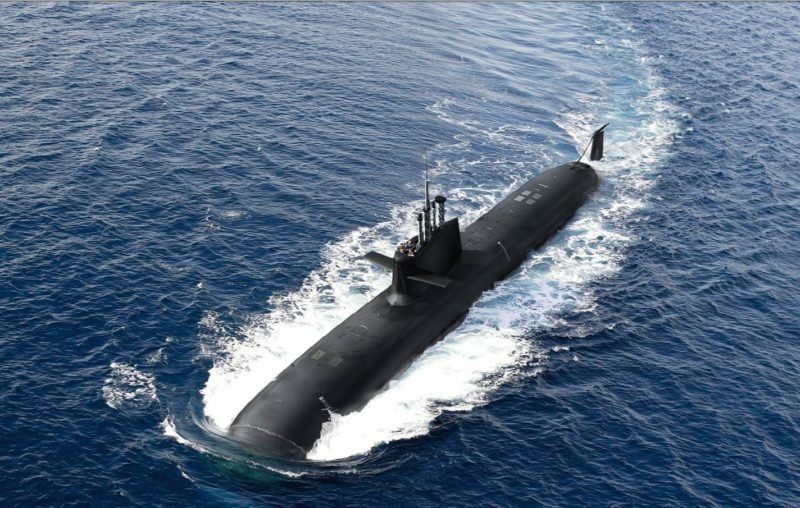 Acquire the acoustic signature of the submarine in different operational conditions and depths. Measure, analyse and record acoustic noise. Detect sources of unwanted noise and provide such data to the combat system for cancellation of own noise. Develop and validate studies of acoustic signature reduction and propagation models. The vessel’s characteristics and additional data. 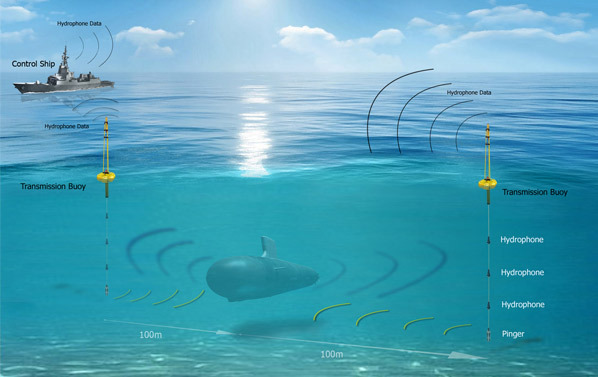 To perform the measurements, the hydrophones are deployed by hanging them from a surface buoy. Depending on the depth, they are set just above the seabed without anchoring with an anchoring or stabilizing weight at the end of the cable, so that the hydrophones are provided with stability against the currents. The acoustic information is then stored and processed to detect signature variations, transients, cavitation and calculate the counter-detection range. Once the radiated noise has been detected, the principle objective is to reduce the acoustic signature in order to guarantee maximum discretion of the vessel. DEWARS has tools for monitoring the evolution of radiated noise and detecting unwanted noise sources. It also provides for the development and management of a broadband and narrowband signature database. These tools permit the development and validation of acoustic signature reduction and provide a detailed record of the characteristics of the noise radiated by the vessel. Precise measurement of radiated noise. Calculation of the acoustic signature at different depths. Detection and analysis of transients and cavitation. Calculation of the CPA (Closest Point of Approximation). Tools for comparing noise levels with historical data or with ships of the same class. Control and analysis of own noise. Modular and easily upgradeable modular system.